We had a great time at the CREATE Festive Fayre. It's a fantastic event to be involved with and we met lots of eco-aware people who gave us lots of positive feedback to our products. 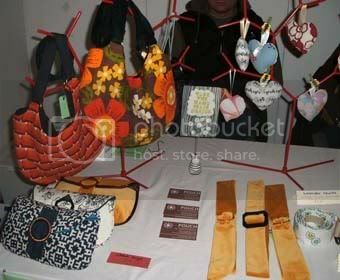 We sold out of our belts and clutch purses and wish we had brought more with us! 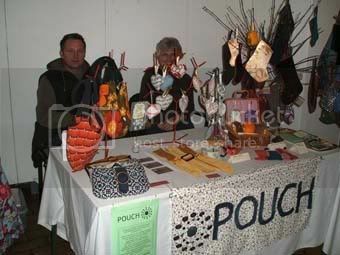 The recycled fabric stockings sold well too and lots of people loved the lavender hearts and sleepy owls. The CREATE Fayre is a great way to promote Pouch and we gave out loads of business cards and 'buy handmade' badges and stickers.